Maurice Antoine Hylton, age 27. Sunrise May 16, 1988 and Sunset May 17, 2015. Maurice graduated from Northland High School, attended The University of Toledo and was a Customer Service Advocate at Verizon Wireless. He was a member of Triedstone Baptist Church. Maurice was preceded in death by his grandparents Bill and Edwina Cunningham, and Henry Hylton, cousin Larry Hylton and uncle Chad Clark. Left to cherish his memory, parents Olan R. and Starlett L. Hylton, brother Lamar R. (Rhonda) Hylton, grandmother Oleta Hylton, great grandmother Josephine Aitkins, niece/Goddaughter Emilee Hylton, special friend Maggie Dysinger, best friend Eric Davis and a host of aunts, uncles, cousins and friends. Visitation 12:00 noon and Funeral 1:00pm Friday May 22, 2015 at Triedstone Baptist Church 858 E. 3rd Ave. Interment at Northlawn Memory Gardens. Ministry of Comfort entrusted to MARLAN J. GARY FUNERAL HOME, THE CHAPEL OF PEACE 2500 Cleveland Ave.
You have our deepest condolence. Words can not express my deepest sympothy in your loss. However, to be absent in body is to be present with the Lord. We all know that he is resting in the hands of Jesus. My prayers are with you all during this difficult time. OLAN AND STARLETTE, BOB AND I JUST HEARD ABOUT THE PASSING OF YOUR SON AND SEND OUR DEEPEST SYMPATHY. I CAN REMEMBER, WHEN WE USED TO PLAY BALL TOGETHER, YOU USED TO BRING YOUR SON TO THE BALL GAME MANY YEARS AGO. AGAIN, BOB AND I EXTEND OUR DEEPEST SYMPATHY AND IF THERE IS ANYTHING WE CAN DO, JUST LET US KNOW. CAL AND BOB HOBBS. 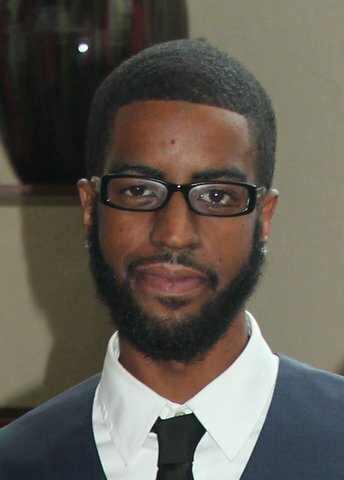 I got hired at Verizon June 23, 2014 and I met Maurice in the cafeteria, I said to him that beard is nice he said thanks and he aasked”did you just get hired and I said yes he introduced himself and said if you need any help or shown the ropes please feel free to reach out to me, and he meant that. Maurice gave me something that I can never repay, I am going to miss him.To the family you have my sincere condolences. I had a great conversation with him in his birthday and I will always remember that. People like Maurice come into your life for a season and I’m glad he did. He made the world a better place. R.I.P. my friend. Please know God is near, even during this loss. May you receive a flood of His comfort, His keeping, His love, and His peace. I have and continue to pray for your family. My thoughts and prayers are with all those that knew Maurice. May you all find peace. Hugs and Love. We want you to know that we are continually praying for you and your family. Sorry that we cannot be with during this time. I want to express my condolences to you! Maurice was a good friend to me and it truly hurts to see this happen so soon! Maurice was a mutual friend to me through his friend Roy! Roy is my sons uncle and Maurice took to my son as if he was his nephew also! He had attended birthday parties and visited on several occasions! I will truly miss him and I’m truly sorry that you had to experience such a loss! If there is any way I can help with anything please let me know! Olan and Star, you’re in my thoughts and prayers during this time. My deepest and sincerest condolences go out to you. May God strengthen and comfort you and your family. God not only wants to give you peace, He wants to give you great peace! When you love the law of the Lord, nothing can make you stumble, and nothing can steal your peace! Great peace gives you joy when it doesn’t make sense for you to be happy. It’s peace that passes understanding. Great peace keeps you stable and strong no matter what you face. Praying that God comforts the family and friends of Maurice during this difficult time. Maurice was one of the nicest people, with the biggest heart. I had the pleasure of working with Maurice at Chase and every day was awesome because he was so entertaining, yet helpful. I will miss you Maurice!!! You have my deepest sympathy during this trying time. I have no words to express how I know you feel. Be encourge God is with you. Please accept my sincere condolences on the loss of your beloved son. May God grant you peace and comfort during your time of grief. Starlett I want to offer my prayers and condolences to you and your family. I will keep you in my prayers and I pray that God will comfort you and keep you during this time. Judy, Darryl and Britany Hill.